Antique bookcase. 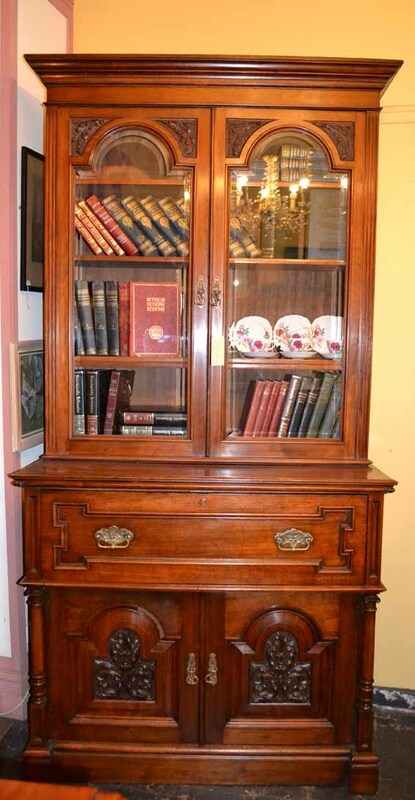 A tall and impressive solid walnut late Victorian/Edwardian secretaire two sectional antique bookcase circa 1880-1890. Superb quality with a beautifully fitted interior writing section. Totally original patina featuring all original fitting and wide bevilled shaped glazing. Another fine example of antique furniture now available at Melbourne’s best value for money antique shop.